Get into the Halloween mood — create a Halloween themed picture featuring your bird, and enter the great #Trickortreatbirb Tee Halloween Bird Photo drawing for a chance to win a custom tee shirt of your favorite bird picture! Entries must be submitted no later than 8:00 pm Wednesday, October 31, Eastern Daylight Savings time (UTC -4). We will do the drawing before midnight Eastern Daylight Saving time. On Facebook, there will be one winner from the BirbObserver page and one winner from the BirbObserver group. There will be two winners from Instagram. There will be one winner from email entries. On Facebook, like @birbobserver & tag 3 friends; submit entries using the hashtag #Trickortreatteebirb; and 1) post on @birbobserver page; or 2) post in BirbObserver Group. On Instagram, follow @Birbobserver & tag 3 friends; submit entries by tagging @Birbobserver in the photo and using the hashtag #Trickortreatteebirb. 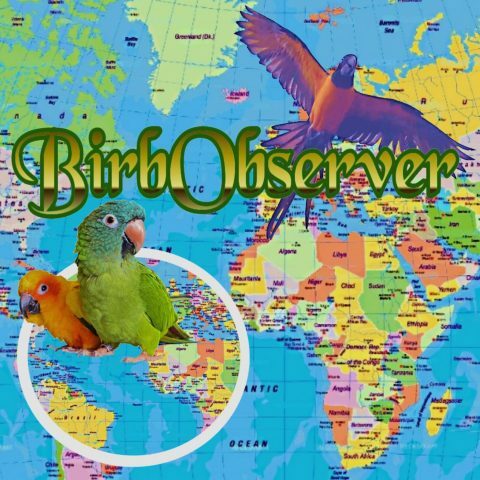 On WordPress or as an email follower, email us your entry at BirbObserver@gmail.com. You can earn a second entry for the same picture by reposting our announcement on your account. Limit: three pictures per account. Good luck, everyone, we look forward to seeing your spooky or funny or outrageous Halloween pictures!